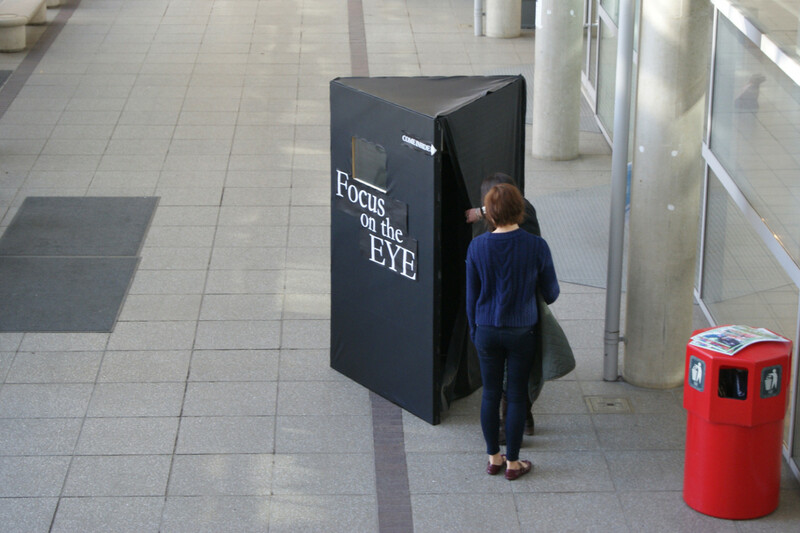 This installation was one prototype crafted for a concept of a mobile exhibition, which consists of five interactive stations, which informs visitors how our eyes and brain process written text. 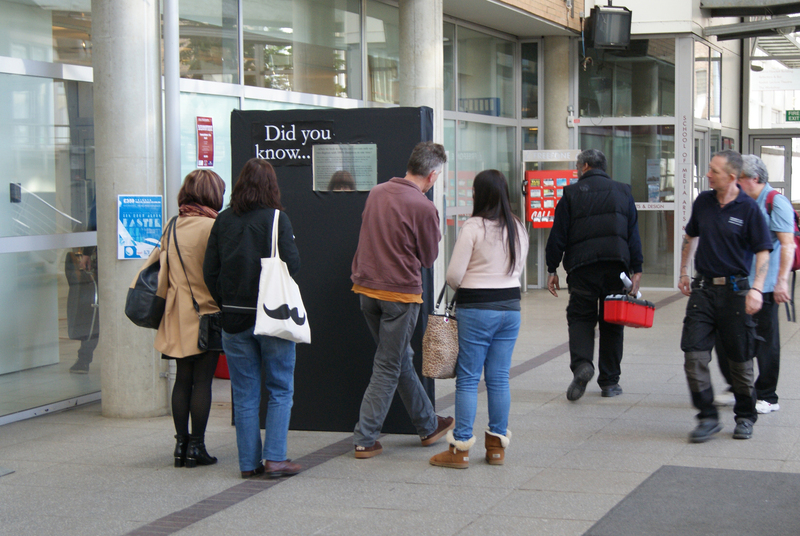 The idea initiated from a brief at university, which asked for visual communication methods of previously researched facts about reading. 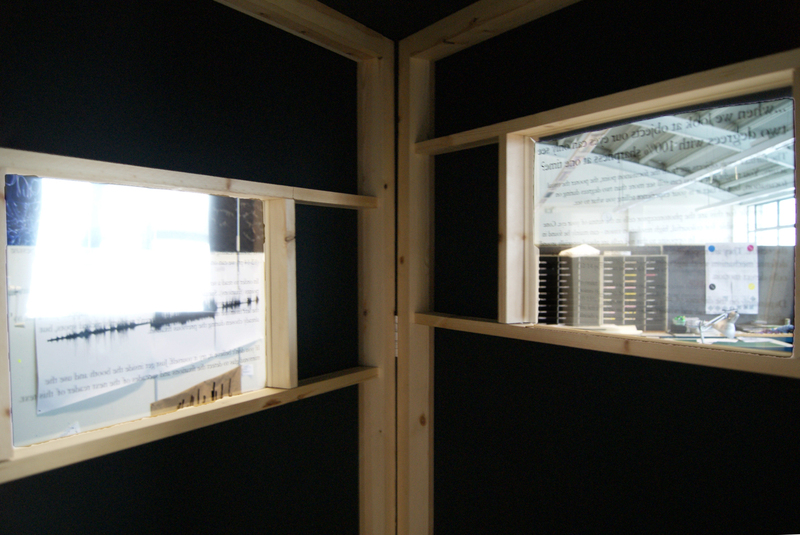 In order to track eye movement in real time, and demonstrate this first hand to visitors, a blacked out booth with mirrored glass has been built. 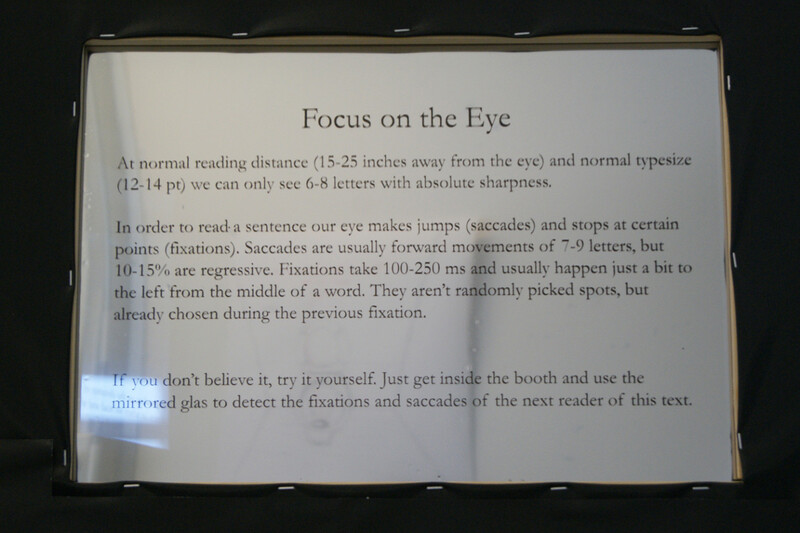 From the outside, screen printed text can be read on the glass, which informs about fixations and jumps our eyes unconsciously make during reading. 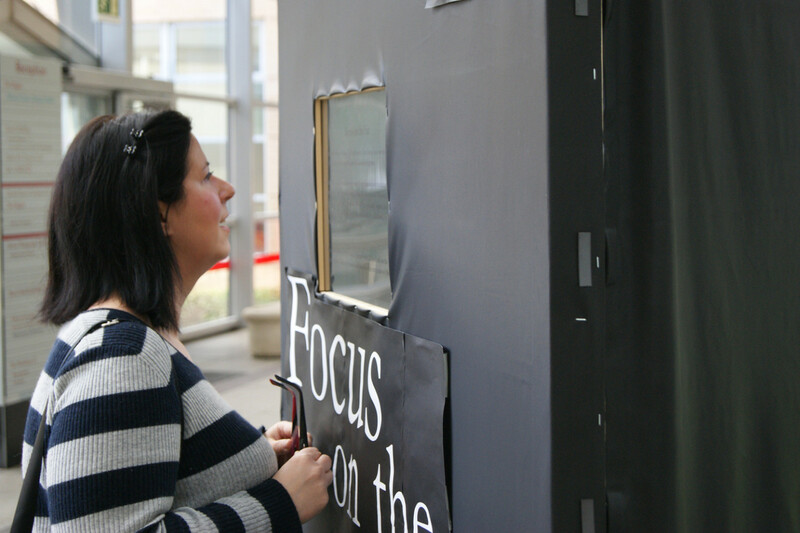 A second visitor from inside the booth can witness those jumps and fixations by focusing on the eyes of the reader outside the booth. 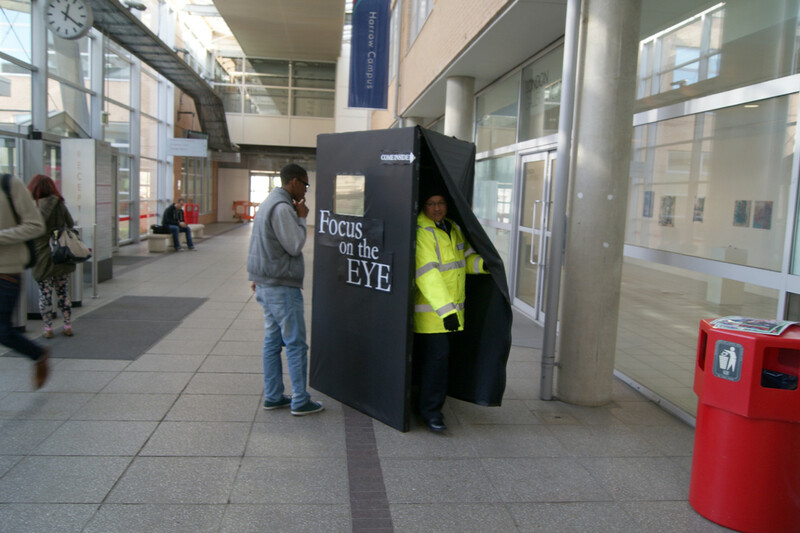 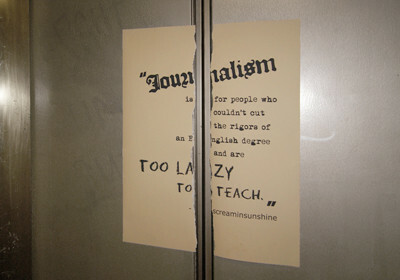 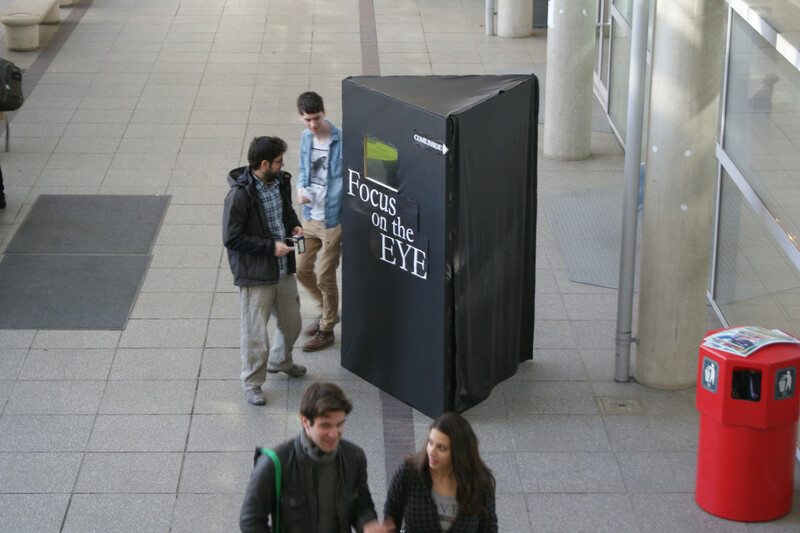 The prototype has been tested at a central place of the campus at the University of Westminster and has found great interest on passers-by, who stopped and read the text on the glass, and then explored the inside of the booth.